The Australian Renewable Energy Agency (ARENA) is investigating the impact of distributed energy such as that from rooftop solar panel systems on the electricity grid. Its new initiative — the Distributed Energy Integration Program (DEIP) — aims to find the best way to harness residential solar power’s collective potential. The idea is to connect small household solar power systems to form larger power sources. Grid operators can then use these power syndicates to combat fluctuations in supply and demand. The energy industry is undergoing major transitions and disruptions. 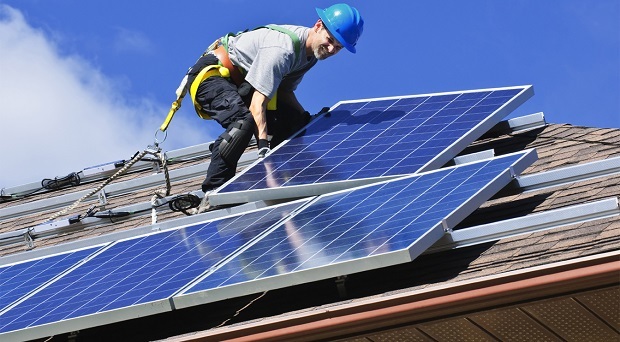 Increasing numbers of households and businesses are taking up rooftop solar and solar batteries. CSIRO and AEMO forecasts show that by the year 2050, consumer-owned energy technology will account for up to 45 per cent of electricity generation in Australia. ‘Consumer-owned energy’ is also known as Distributed Energy Resources, or DER. It includes rooftop solar installations and energy storage batteries. It also covers smart systems including appliances, thermostats and pool pumps and electric vehicle charge-points. ARENA CEO Darren Miller said Australia will soon have some of the most decentralised energy systems in the world. He added that we need to start considering the implications of this. The process will include sharing ideas, knowledge and resources, and finding agreement on the best ways for grid integration. Miller says a key challenge is ensuring DER help to support a reliable and secure system that is mutually beneficial. He noted that in the future more consumers will be involved in buying and selling energy. Meanwhile, market operators are already buying power from rooftop solar system owners. The Australian Energy Market Operator (AEMO) paid $60 million for solar-generated electricity to help meet extra demand during heatwaves last year, reports the AFR. AEMO Chief Executive Audrey Zibelman says paying customers to contribute to the grid is better than building new power stations. Strategies include switching off pool pumps for brief periods and paying feed-in tariffs. Zibelman made her comments in an address to an energy forum in Adelaide yesterday. She also praised the Tesla Powerpack giant battery in South Australia, describing it as “good news for the industry”.